Standard facial implants are placed through numerous limited external skin and intraoral incisions. 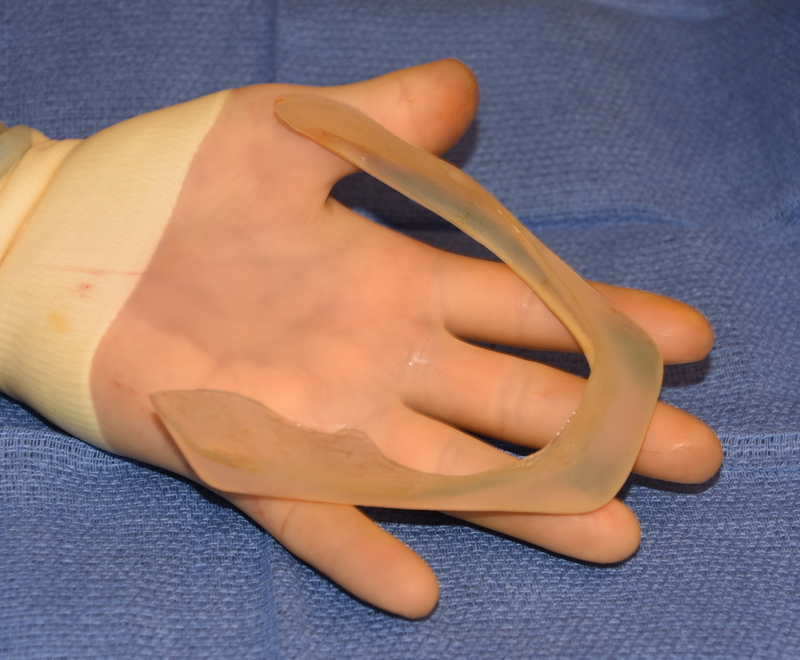 Because the implants are not large the incisions to place them don’t have to be either. But most custom facial implants are much larger and that raises the concern that the incisions to place them must correspondingly be larger also. This is of particular relevance in custom jawline implants which cover much of the external contour of the lower jaw. In practice the size of the incisions needed for custom implants is not any bigger than that of standard facial implants due to the physics principle of elastic deformation. In short a material that exhibits a change in shape due to the application of force which then self-reverses (returns to its original shape) when the force is removed is called elastic deformation. 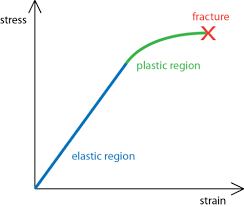 Elastomers and polymers are well known to be capable of large elastic deformations ad fracture points that are exceedingly high.. It is the elastic deformation property of a custom silicone jawline implant that allows it to be inserted through three small incisions, one submental and the other two intraoral. 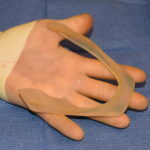 Once the subperiosteal pocket has been created along the jawline, the flexible implant is folded, flexed and inserted through the submental incision. It is able to be bent and twisted as needed to get into the larger pocket inside. 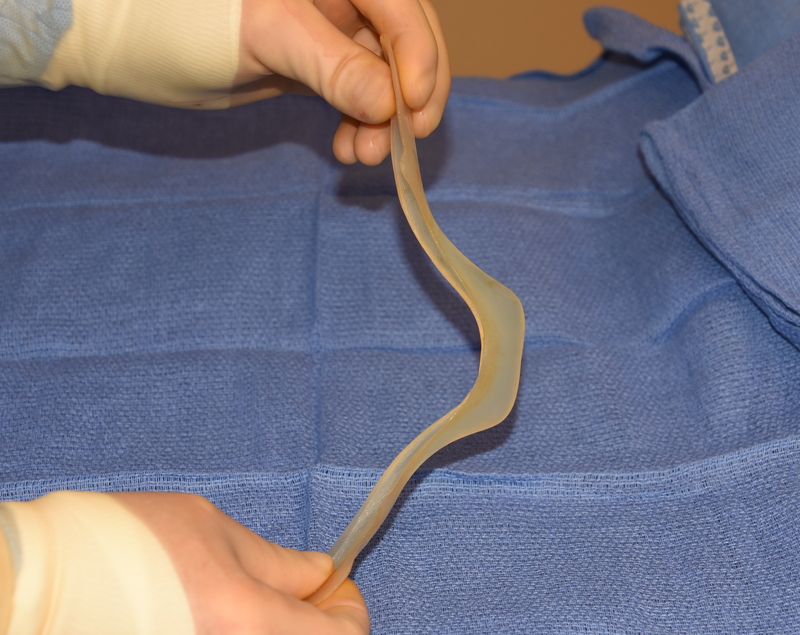 Once inside the pocket the implant returns to its original shape where final positioning and fixation to the bone can be done. 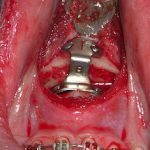 One question that the elastic deformation property of custom facial implants often concerns patients is how the implant will feel once in place. 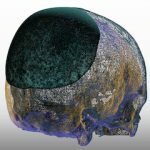 The concern is that the implant will not feel as solid as bone. 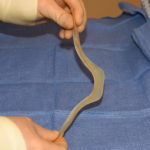 Because the implant is flexible this conveys the impression that the implant is soft and will not feel hard. But just like wallpaper feels on the wall, the implant acquires the physical characteristic of its backing.